Looking for movie tickets? 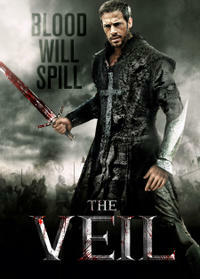 Enter your location to see which movie theaters are playing The Veil near you. Set in a war-torn land where tribal factions live in fear of annihilation, a deadly warrior leads a destructive war campaign. When he is betrayed by his own and left for dead, he is healed by a mysterious princess and taken in by a hidden tribe.